As many of you know, this September, Unique Young Mum is celebrating it's 3rd birthday! The blog has officially turned three and what better way to celebrate than throwing a massive party of course! With 60 competitions going live during September, that's two a day incase you didn't know, it's safe to say I am totally knackered, not flat out on my face, but flat out with my fat fingers and baggy eyes! 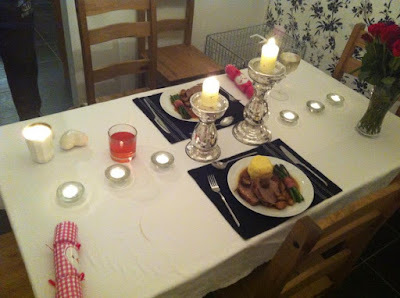 One of the competitions see me asking you all a question, ''what would you like to see more of on the blog?''. Many of you have answered with more recipes, so the other day I done just that and got a recipe written up for you, a lamb casserole recipe, perfect for the colder Autumn season starting to approach! I had some leftover, and reheated it in the microwave once Spud was in bed, I know eating is bad after a certain time, but I really don't care! 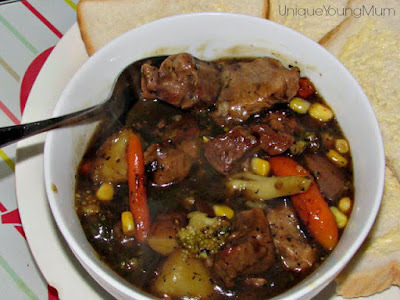 Lamb Casserole: Recipe On The Blog! This led me thinking to how nice it would be, to enjoy the dish, in front of a cosy and warm fireplace, in the middle of nowhere with fresh homemade bread rolls, and Gareth's company accompanied by a bottle of wine. This then led me to arrange this, without the fireplace in the middle of nowhere, but I completely didn't know what wine would be the best to go with the dish. Searching the internet (one of my favourite things to do when I need help! ), I found the infographic below from Roberson Wine and had to share it, mainly because I need a safe place to keep it, and here I won't have to worry about my phone deleting it! Secondly because the image is way too big to read from my phone anyway and lastly because everyone should be knowledgeable on the perfect wine and food pairings! Come Wine With Me needs the correct WINE! That's a hint to my friends by the way, on my next child free night and during the next round of Come Wine With Me (our version of the popular show! ), I want the correct wine with them takeaways that you love to stuff me up with it!